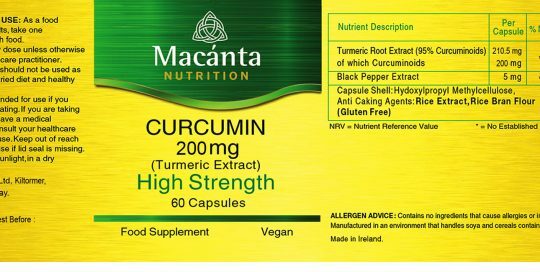 Curcumin is an extract of the plant turmeric (curcuma longa) and it is this active ingredient that has been used in traditional therapies in India for thousands of years. The root of the plant is harvested, but the turmeric root only contains 2-5% curcuminoids. 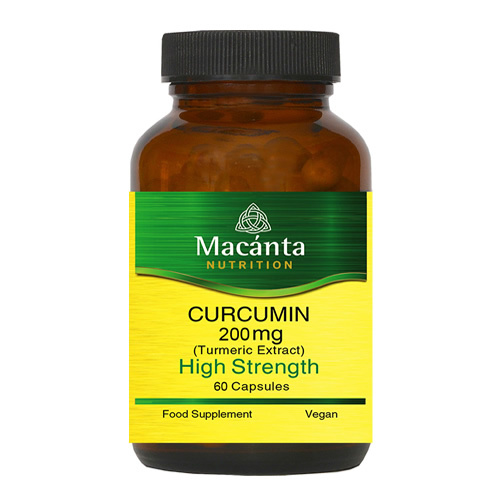 Our Macánta Curcumin gives you a 95% active dose with 200mg of curcuminoids. One of the disadvantages with Curcumin is the fact that our bodies sometimes have difficulty absorbing it. Research has shown by adding Piperine (black pepper) the absorption is improved considerably, which is why it is recommended to add black pepper to your food when cooking with Turmeric. We include Piperine in our formula to help increase absorption and improve efficacy.